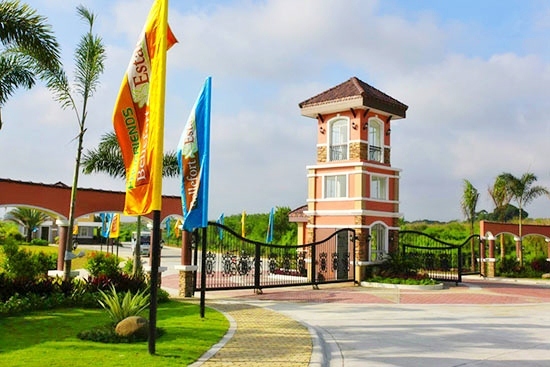 Bellefort Estates is a the 110-hectare premier development of PRO-FRIENDS, located in the Daang Hari area of Bacoor, Cavite. Get ready for the finer lifestyle this community offers. 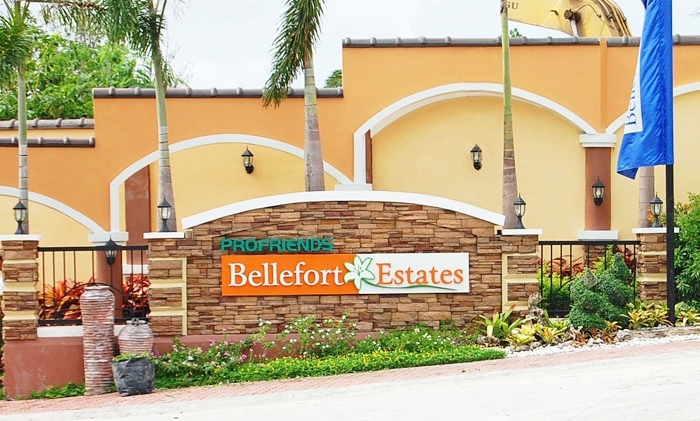 With a name that aptly means “beautiful refuge”, Bellefort Estates provides round-the-clock security personnel and an elegant entrance gate for exclusivity. 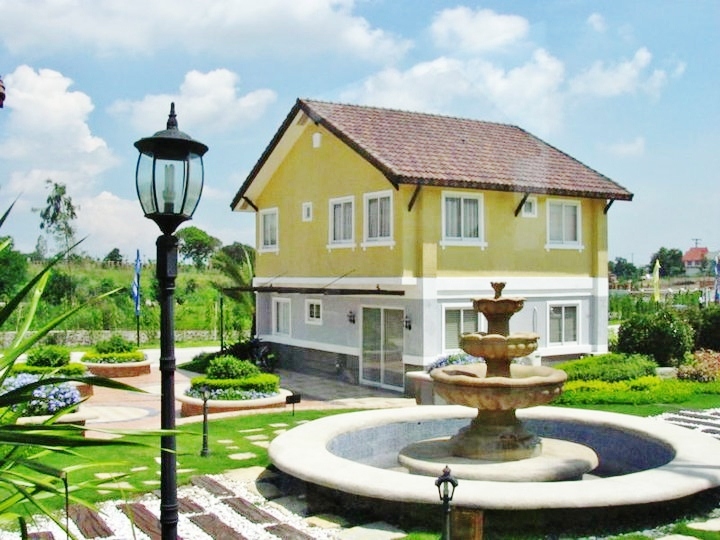 Its European-themed design is evident in its picturesque landscape that matches the estates’ natural, hilly terrain and cool southern breeze. 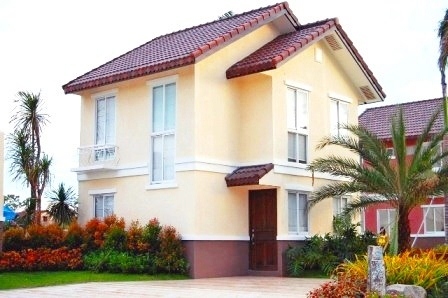 Homes are designed to accommodate families with kids of varying ages. 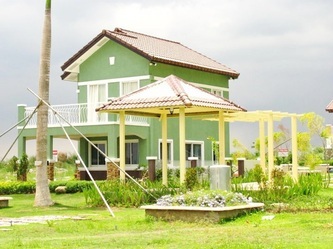 The Charlotte house model is a 65-square meter house on a 110-square meter lot area. 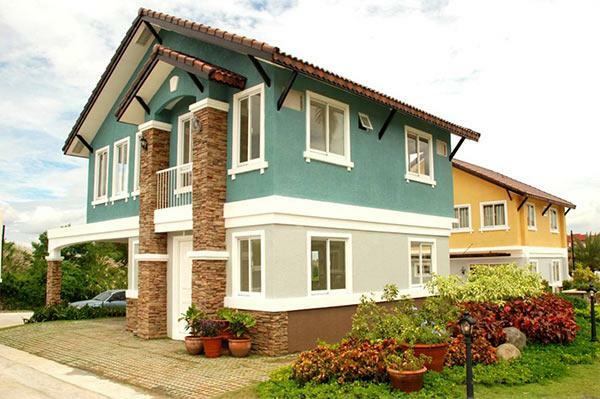 It houses three big bedrooms, two toilets and baths, living and dining room, with generous kitchen space and a one-car garage. 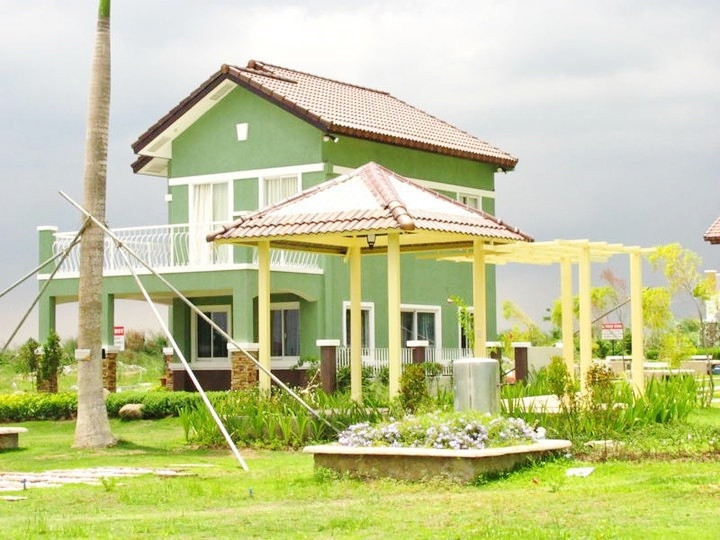 The Sabine house model has 85 square meters of floor area also on a 110-square meter lot. 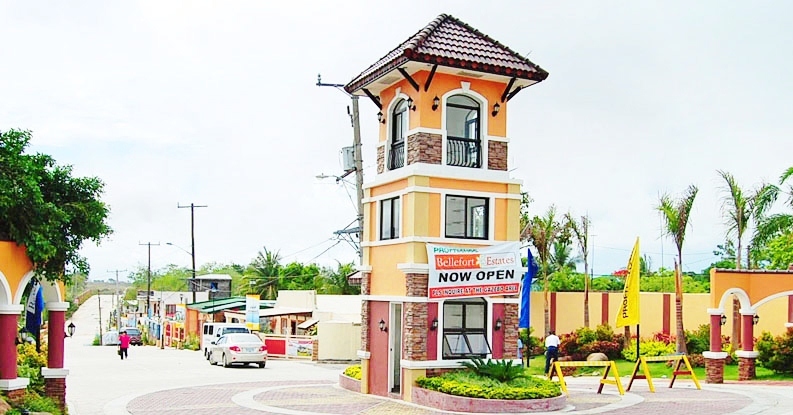 It comes with four sizable bedrooms, two toilets and baths, a living room, dining area, a kitchen and provision for a two-car garage. The biggest model house is Vivienne—a single detached unit with a 110-square meter floor area on a 140-square meter lot. 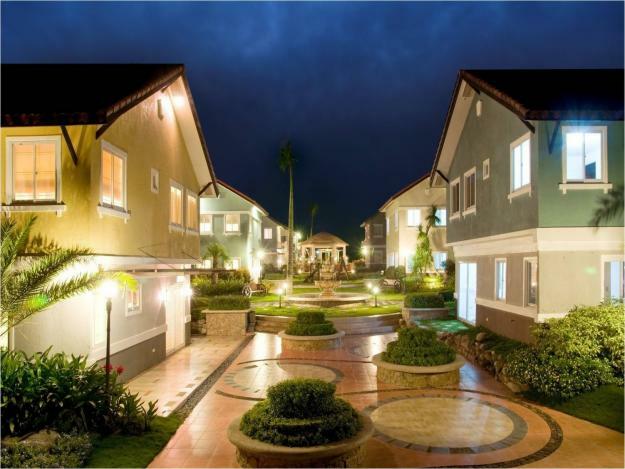 It has five spacious bedrooms, three toilets and baths, a living room, kitchen and dining area and provision for a two-car garage. 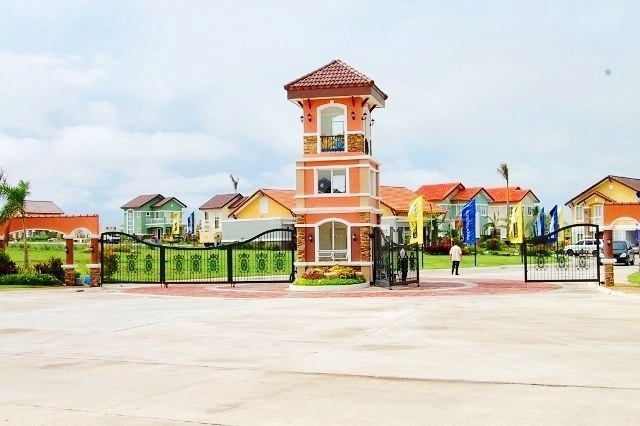 Bellefort Estates encourages community interaction by being the first estate development in the Daang Hari area of Bacoor, Cavite to feature a linear park—that extra open space at the back of almost every home that residents can use as a safe playground for kids, avenue for outdoor gatherings or a nook for relaxing in solitude. 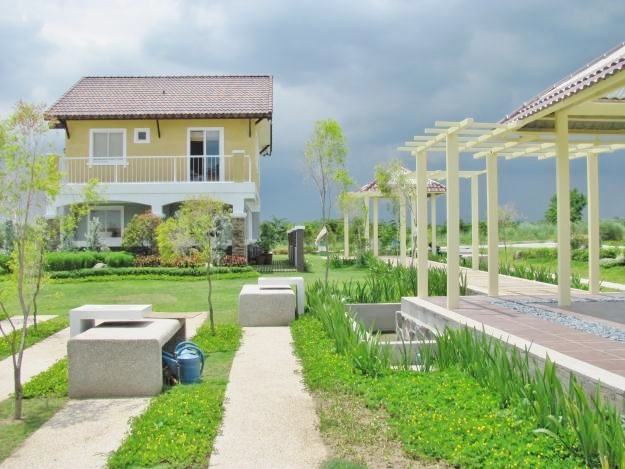 Families can enjoy the benefits of extra space, abundant natural light and better ventilation. The linear park is equipped with a drainage system and a fence for added security. It has a gate exclusively for use of the residents in that block. Aside from the linear park, lush trees and shrubs also adorn common areas. Families will delight in the high-end clubhouse facilities this development will offer. 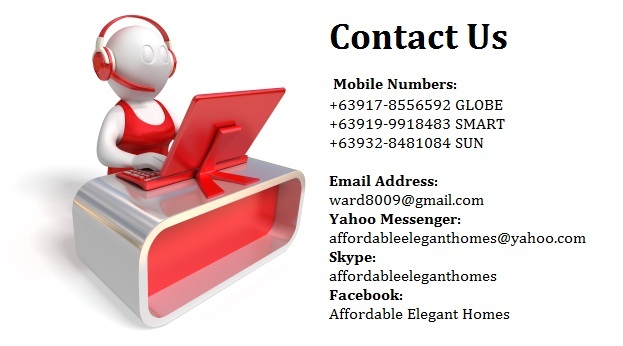 So you get what you need without leaving home. 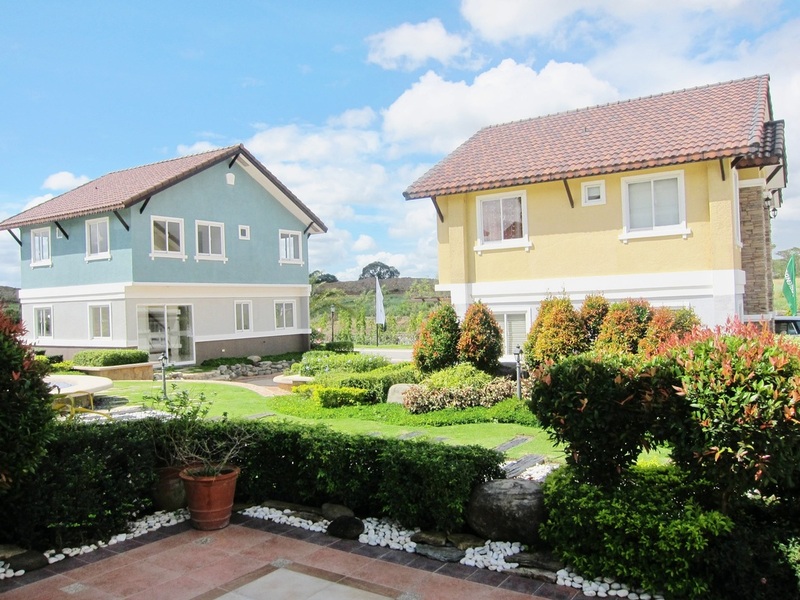 Location is foremost with Bellefort Estates as it is just three minutes away from the mall, 20 minutes away from Alabang and very accessible to top-notch schools, banks and hospitals. 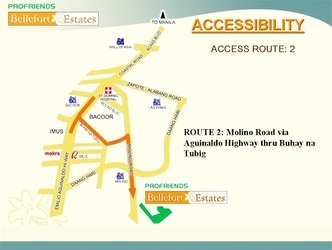 There are several ways to get to Bellefort Estates. 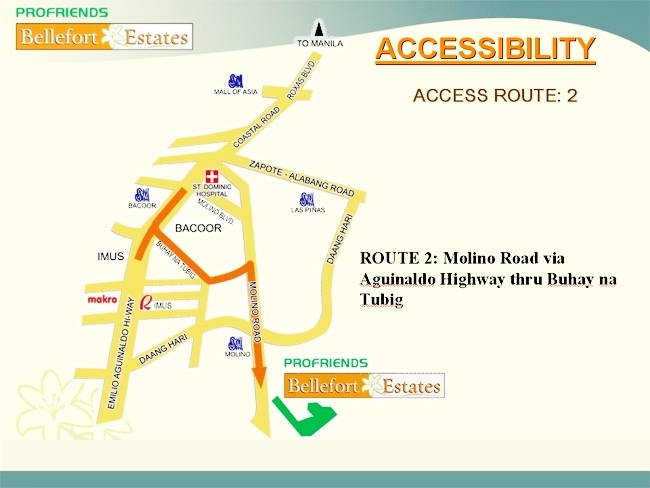 One is via Aguinaldo Highway through Molino Boulevard, another is through Salitran road. 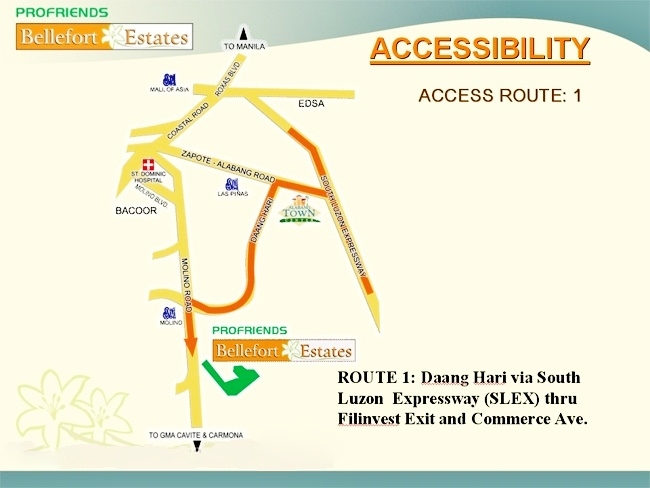 But, the most convenient route is through Daang Hari road from the South Luzon Expressway (SLEX). These access options make traveling to and from Bellefort Estates easy for residents and guests. 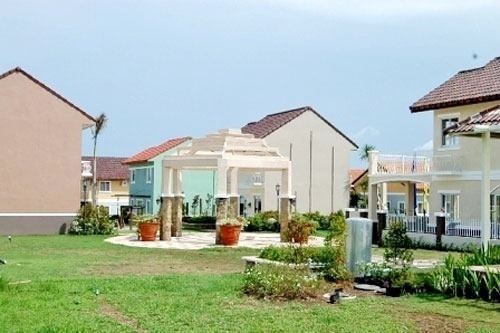 Bellefort Estates boasts of its special feature -- The Linear Park -- a vast open space specifically designed for residents to enjoy the comforts of a park right next to or behind their homes. 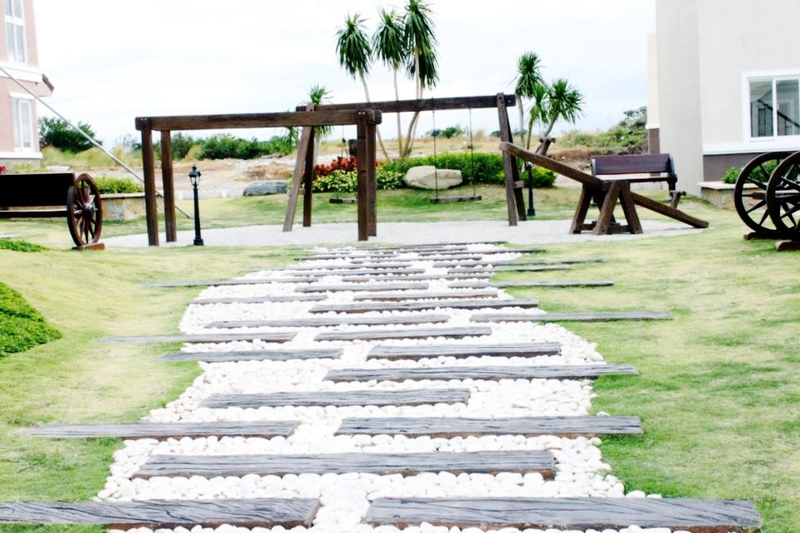 At a linear park, there are more reasons to enjoy the outdoors. 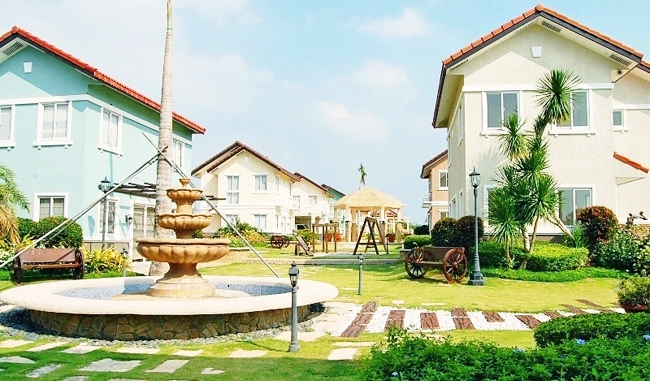 There's abundant natural light, good ventilation, not to mention, the proximity to home that makes it a safer playground for kids and the young at heart. 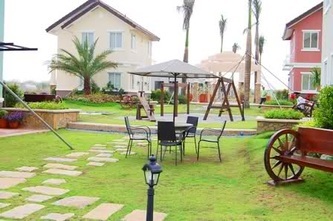 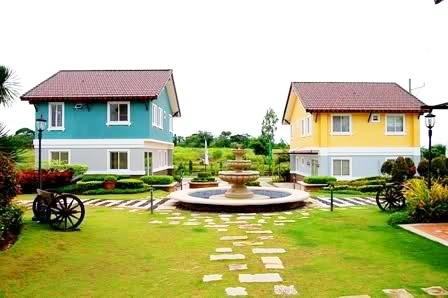 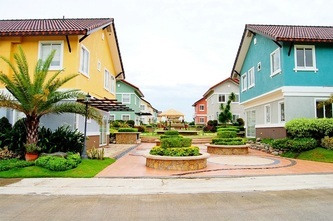 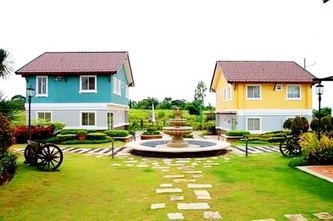 Bellefort Estates is the first and only Cavite subdivision in the Molino area with a linear park. 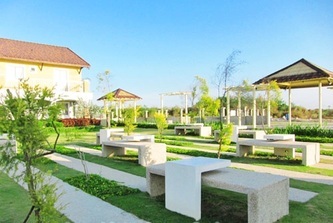 Modern amenities, facilities and attractions are almost literally around the corner but yet the township preserves an oasis of calm because of its low-density. 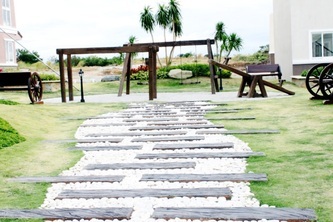 This linear park concept brings back those days when children could romp around freely at a safe distance, without the parents worrying where they are. 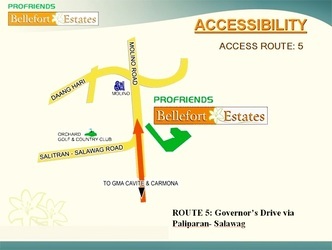 Bellefort Estates is a 1,000 hectares mixed-used development located 17 kilometers away from the NAIA airport. Development starts in Kawit then Imus and end up in Daang Hari Extension in General Trias. Very accessible by busses, jeepneys and FX via the new Cavite Expressway (Cavitex). 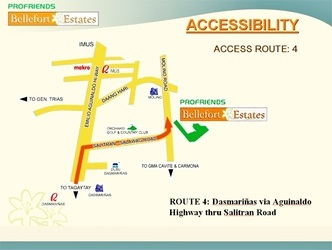 And soon via C5 Extension. 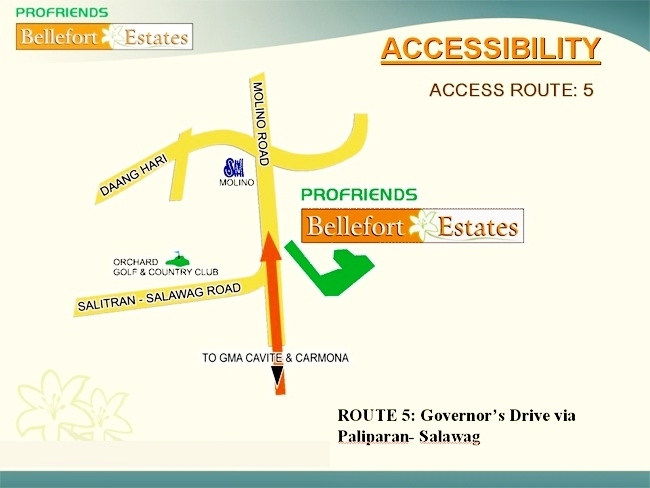 Bellefort Estates is just 3 minutes away from the mall, 15 minutes away from Alabang and very accessible to schools, banks and hospitals. 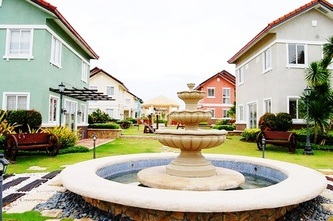 Soon, modern conveniences such as swimming pools and sports facilities, country club and playgrounds will be available for the residents to enjoy. 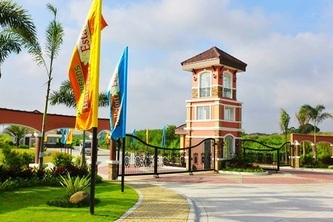 An elegant entrance gate is watched by security personnel 24 hours a day, 7 days a week. 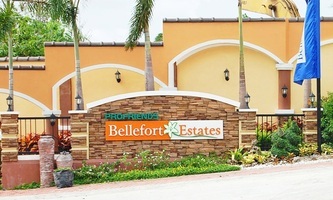 The privilege of space, security and exclusivity…yours at Bellefort Estates. 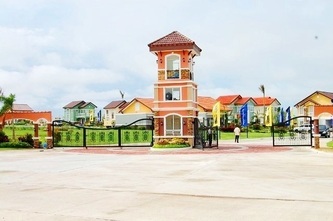 The first and only property in Molino, Bacoor, Cavite with a linear park. Bellefort Estates is a 1,000 hectares mixed-used development located 17 kilometers away from the NAIA airport.